There’s something to be said about the excitement surrounding Black Panther. 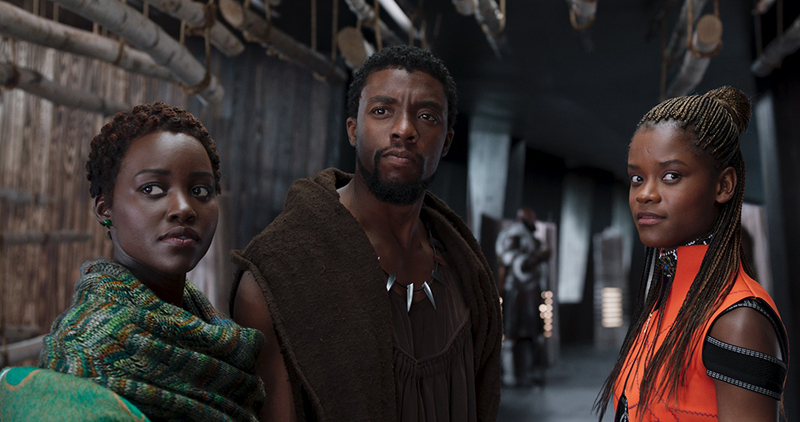 That it's profoundly impacted so many people, particularly black people, to see the world of Marvel’s Black Panther comic books adapted for the big screen is considered an affront to some individuals whose existence, both in fiction and reality, is routinely reaffirmed and so they feel entitled to what they take for granted. I can't put a number on the umpteenth occasions fans of Star Wars, Star Trek, Harry Potter, Lord of the Rings, other Marvel and DC films, and various video games and anime series have congregated before a convention or cineplex cosplaying as their favorite characters, brandishing weapons, tools, jewelry, and other paraphernalia that is true to some fictional work or another but indisputably inspired by historical illustrations of European attire and technology (yes, even most anime). When young white males and young white females self-identify with the fictional lives of Peter Parker and Bella Swan or insist upon a work of fiction having helped them through suicidal thoughts and difficult times, no one bats a lash. Flash Gordon, John Carter of Mars, King Kong, and other fantasy films and franchises inspired by the likes of Robinson Crusoe positively reinforce the reality of European colonialism and racial fetishism, placing indigenous people on the receiving end of their “superior” causes… Let’s not even bother counting the many films and television series based on Greek, Roman, and Norse mythology, all of them conceived through the creative lenses of those of European if not Anglican descent, or discuss those opportunities to feature characters of color in films based on Egyptian mythology or Biblical epics that are whitewashed through casting and stripped of any culture from the regions from which these stories are inspired. Black Panther, directed by Ryan Coogler and starring Chadwick Boseman as its titular super hero, doesn’t fix the absence of indigenous and ethnic voices in mainstream sci-fi and fantasy but it’s a good start. What Black Panther does well is cast a group of unlikely but familiar faces in a plot of political intrigue so arresting and current I half-expected Robert Redford to rise from his MCU grave to assume a role outside of Captain America: The Winter Soldier's Alexander Pierce. 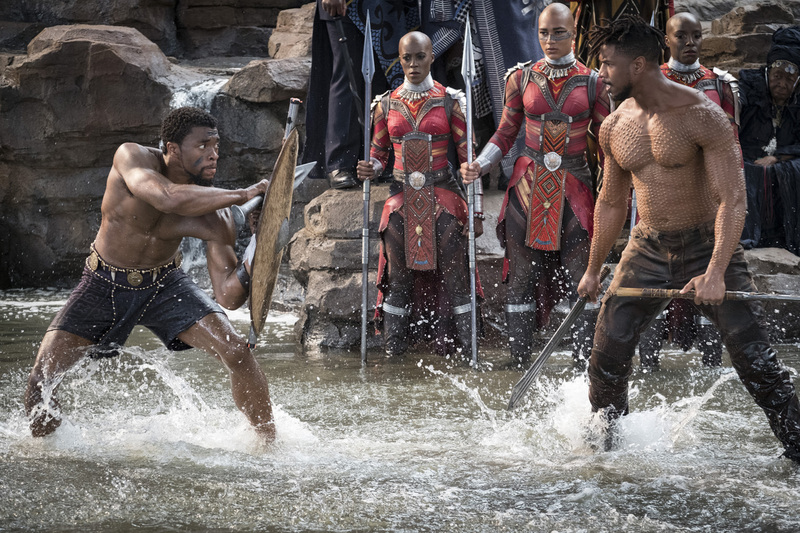 The film establishes parallels early on and uses symmetry to propel its plot in such a way that Boseman's T'Challa and Michael B. Jordan's Killmonger feel like two characters walking on the same path from two points on different ends of the same spectrum (yeah, you read that sentence). The politically-charged themes that resurface throughout the film feel purposeful and on-the-nose in a way that helps draw attention to the irony of what Black Panther fixes by its very existence. It fixes what we've seen before, in regard to high-concept science fiction and fantasy and who's exactly telling that story, making a feature-length film out of what's conceptually an exceptional episode of Star Trek. Black Panther fixes the expectation of execution if not the double-standard used to dismiss its significance, which is why when people strawman argue, “There’s been black super heroes before so you enjoying and making too much of this hurts my brain,” while their comic book movies of nothing but films featuring white super heroes as the main protagonist, in a variety of thematic ways, within fictional worlds that reflect their image as diverse and realistic quietly collects dust on shelves somewhere, it doesn’t faze me in the least bit. When people say they are excited to see Black Pantherfor its portrayal of a black super hero protagonist we all know what they really mean and to argue semantics is simply an attempt to invalidate the excitement of black fans and general audiences. At long last, the roles are reversed. The indigenous often explored and exploited are now the focus, their existence made fully realized and nuanced through character and theme, and their tale is not one of benefit or suffering at the hands of a dominant colonizing culture. Black Panther flips the script on what it means to be “other”. The most popular science-fiction and fantasy deals with the unknown. The idea of extraterrestrial invasion, monstrous specimens, zombie epidemics, or orcs representing a threat to be dealt with resonates with whatever political or social fear dominated the conversation at any given point in human history. The film adaptation of H.G. Well’s novel War of the Worlds, Invaders from Mars, and Invasion of the Body Snatchers echoed the paranoid Communist hysteria provoked and encouraged by the United States government in the 1950s. King Kong, in every iteration, is an imperialist fever dream of the east, sometimes Africa and sometimes Asia, where beauty is a European standard that is threatened by the untamed virility of “other”. We persist into the 21st century with the reality of nationalist propaganda revisiting similar themes of dehumanization and scapegoating still looming over us, tragic events like 9/11 and perpetual war in the Middle East having paved the way for shows like 24 and Homeland and any quasi-political film thereafter to associate “bad guy” with a turban, one religion, and a brown skin tone. The American westerns of old, often depicting those indigenous to the American continents as savage (a term repeatedly used by Andy Serkis' Ulysses Klaue in reference to Wakandians), uncivilized, and in need of colonial containment, are less popular now but whenever any film revisits the plight of Native Americans it’s just that, a plight, a story about an insulated people in need of a white savior à la Kevin Costner in Dances with Wolves, John Smith in Disney’s Pocahontas, and James Cameron’s Avatar. 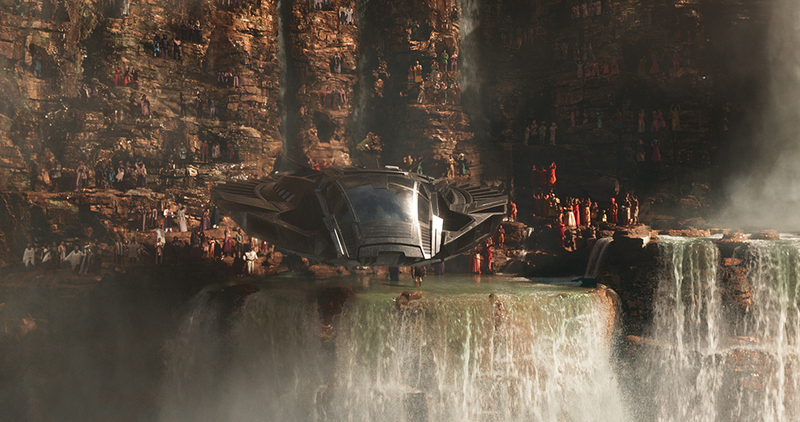 In Black Panther, the fictional nation of Wakanda is not a devastated land at the mercy of colonial invaders. Wakandians are not an “other” who are disadvantaged, displaced, exploited, or dominated by an imperialist culture. The story of the character Black Panther, King T’Challa and his royal court, is not that of a “struggle film” dealing in drug epidemics, poverty, black American crime or a Western history of slavery, oppression and segregation. It is none of these things but acknowledges the existence of these things and that’s why it matters so damn much to so damn many. Black Panther is a story told through the eyes of those who have been historically depicted as “other”. The film celebrates the customs and cultures found throughout the African continent, the spirituality, clothes, sounds, music, movements, speech, and designs that continue to influence the African diaspora in reverence of that influence rather than in jest. My mind can’t help but compare it to Eddie Murphy’s Coming to America. Though most black Americans I know elevate the film for its depiction of a fictional African nation that is ruled by black African royalty, its adherence to black American comedy beats and American ideology neutralizes the impact of seeing that world fully realized for a mainstream audience. Luke Cage, though a show about a black super hero who operates out of the historically black neighborhood of Harlem, exists within a world imagined as real America, impacted by a history of chattel slavery, segregation and integration, oppressive housing tactics, “white flight”, CIA-enforced drug peddling, and police brutality. 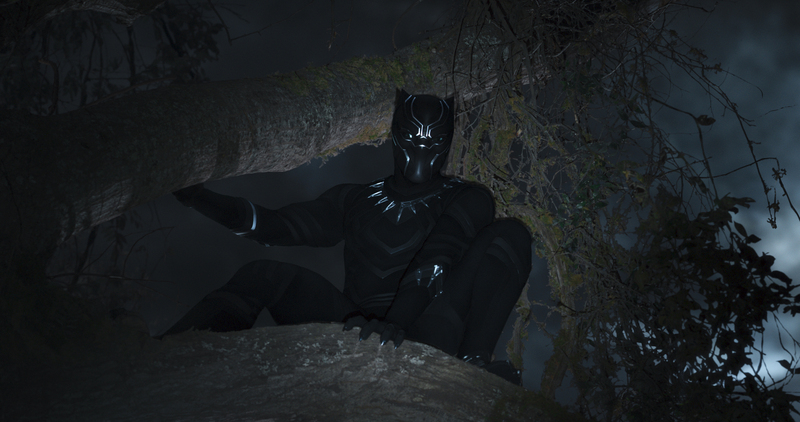 Black Panther doesn’t shy away from the conversation of blackness and what that looks like in the dominant culture, specifically the United States, but the world of Wakanda does not adhere to the expectations of the outside world regarding black people nor is it affected by the widespread devastation of European colonialism. 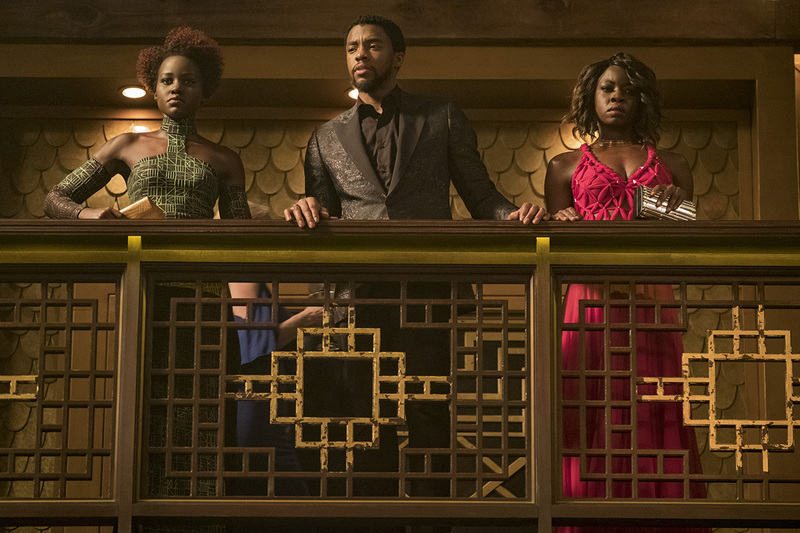 Wakanda is state nationalism at its finest, what most alt-right Americans long for in the United States, and whether that sits well with you as an audience member will greatly depend on what you, the audience member, think black excellence and the black experience ought to look like to the rest of the world. A fictional and futuristic depiction of the black experience and black excellence, to me, looks like Black Panther. It looks like a world that, though grounded in reality, assumes science-fiction and fantasy tropes in the same sober and earnest fashion as Star Trek and The Lord of the Rings respectively. It explores the "what if" of African national sovereignty and explores that possibly within a practically Shakespearean tale of kingship, betrayal, and family without implication of intellectual or cultural superiority over the existence of other black media. It indirectly encourages black people and black creatives like myself to really consider how we see ourselves, how our perception of ourselves shapes our media, and how that media is viewed by a larger, non-black audience. What does it mean to see Lupita Nyong’o, Danai Gurira, and Letitia Wright, three beautiful dark skin black women, in positions of strength as well as vulnerability, protected and elevated by the equally dark-skinned black men in the cast? Why is that not only important to see in mainstream media but in the fictional black community of Wakanda? Black Panther has arrived and conversation, much like before its release, continues to dissect and analyze every aspect of its existence. 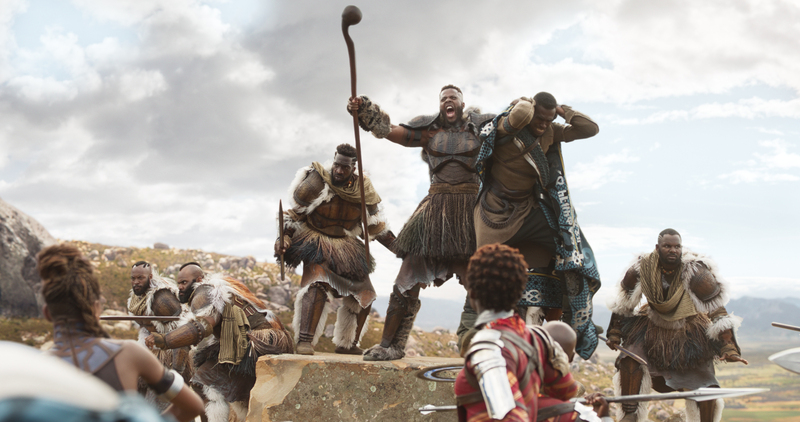 When it’s good, it looks like explorations into the origins of its score and the African tribal styles that influenced the wardrobe, discussions on how the world of Black Panther benefits the larger Marvel Cinematic Universe, conversations on the African perspective of the film, and “What Black Panther Means to Me”. When it’s bad, it looks like political pandering on either side of the spectrum, a misconstruction of its comic book origins (and the Black Panther Party of the same name) in an attempt to claim inherent racism, and people like Ben Shapiro. I look forward to a future where Afrofuturism is more than music videos and underrated black artists whose innate style and presentation reflects a rich and stolen history of technological advancement and civilization, the black imagery that’s historically neglected by major film studios for fear of upsetting the dominant narrative of what “other” looks like and a refusal to accept anything that isn’t upheld by a status quo of exclusionary practices. Black Panther has surpassed $235 million in its four-day opening, making it the fifth-biggest film to make over $200 million in its weekend debut. I can't help but hope this bodes well for the future of such endeavors that provide the kind of studio backing and budgeting to creative voices not usually afforded a tent-pole film. It'll be interesting to see how audiences flock to other films of this ilk and whether the effort to bring fully realized black culture to the big screen will receive similar fanfare. Because Black Panther is still a comic book movie, subject to the idiosyncrasies of big blockbuster franchises and the popularity they incur, but one that traffics in black storytelling in a way never before seen or done on this caliber, in or outside of its genre, and that’s deserving of celebration.